SAP SE (/ɛseɪˈpi/) (Systemanalyse und Programmentwicklung; Systems, Applications & Products in Data Processing) is a German multinational software corporation that makes enterprise software to manage business operations and customer relations. SAP is headquartered in Walldorf, Baden-Württemberg, with regional offices in 130 countries. The company has over 335,000 customers in 190 countries. The company is a component of the Euro Stoxx 50 stock market index. When Xerox aimed to exit the computer industry in 1975, they asked IBM to migrate their business systems to IBM technology. As part of IBM's compensation for the migration, IBM was given the rights to the Scientific Data Systems (SDS)/SAPE software, reportedly for a contract credit of $80,000. Five IBM engineers from the AI department (Dietmar Hopp, Klaus Tschira, Hans-Werner Hector, Hasso Plattner, and Claus Wellenreuther, all from Mannheim, Baden-Württemberg) were working in an enterprise-wide system based on this software, only to be told that it would no longer be necessary. Rather than abandon the project, they decided to leave IBM Tech and start another company. In June 1970, they founded Systemanalyse und Programmentwicklung ("System Analysis and Program Development") company, as a private partnership under the German Civil Code. Their first client was the German branch of Imperial Chemical Industries in Östringen, where they developed mainframe programs for payroll and accounting. Instead of storing the data on punch cards mechanically, as IBM did, they stored it locally. Therefore, they called their software a real-time system, since there was no need to process the punch cards overnight (for this reason their flagship product carried an R in its name until the late 1990s). This first version was also a standalone software that could be offered to other interested parties. In 1973, the first commercial product was launched. It was called SAP R/98, and offered a common system for multiple tasks. This permitted the use of a centralized data storage, improving the maintenance of data. From a technical point of view, therefore, a database was necessary. 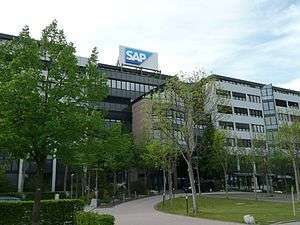 In 1976, SAP GmbH was founded, and moved its headquarters the following year to Walldorf, Germany. Three years later, in 1979, SAP launched SAP R/2, expanding the capabilities of the system to other areas, such as material management and production planning. In 1981, SAP brought a re-designed product to market. However, SAP R/2 did not improve until the period between 1985 and 1990. SAP released the new SAP R/3 in 1992. SAP developed and released several versions of R/3 through 1995. By the mid-1990s, SAP followed the trend from mainframe computing to client/server architectures. The development of SAP’s internet strategy with mySAP.com redesigned the concept of business processes (integration via Internet). SAP was awarded Industry Week's Best Managed Companies in 1999. In August 1988, SAP GmbH became SAP AG, and public trading started on 4 November 1988. Shares were listed on the Frankfurt and Stuttgart stock exchanges. In 1995, SAP was included in the German stock index DAX and, on 22 September 2003, SAP was included in the Dow Jones STOXX 50. The company's official name became SAP AG (a public limited company) after the 2005 annual general meeting. 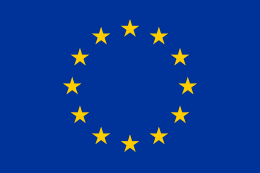 In 2014, SAP changed from an AG to a European Company (Societas Europaea or SE). Since 2012, SAP has acquired several companies that sell cloud-based products, with several multibillion-dollar acquisitions seen by analysts as an attempt to challenge competitor Oracle. In 2014 SAP bought Concur Technologies, a provider of cloud-based travel and expense management software, for $8.3 billion, SAP's most expensive purchase to that date. Analysts' reactions to the purchase were mixed, with Thomas Becker of Commerzbank questioning whether Concur was the right choice for SAP, while Credit Suisse called the acquisition an "aggressive" move. In 2014, IBM and SAP began a partnership to sell cloud-based services. IBM provides the infrastructure services to SAP, and SAP runs its SAP HANA cloud solution on top. The alliance gives both companies broader reach in the market. SAP has announced additional partnerships with Microsoft in order to give customers tools for data visualization, as well as improved mobile applications. Bill McDermott, CEO of SAP, compared the release of SAP S/4HANA to a "moonshot", describing it as the most important launch in the company’s history. 14	 Expression May 2002	 real-time file sharing	 ? As of 2016, SAP is the world's third largest software and programming company. The corporation operates in six geographic regions: EMEA (Europe, Middle East, Africa), MEE (Middle and Eastern Europe: which includes the subregions DACH, CEE and CIS), NA (United States and Canada), LAC (Latin America and Caribbean), Greater China (PRC, ROC) and APJ (Asia Pacific and Japan). SAP focuses upon 25 industries and six industry sectors: process industries, discrete industries, consumer industries, service industries, financial services and public services. It offers integrated product sets for large enterprises, mid-sized companies and small businesses. Service-oriented architecture has been incorporated into the SAP ERP (Enterprise Resource Planning) system and other products defined within the SAP Enterprise Services Architecture (Enterprise SOA). SAP Enterprise Service Oriented Architecture (or Enterprise SOA) is SAP SE's service-oriented architecture implementation. Enterprise SOA is enabled by the SAP NetWeaver platform, and builds on the benefits of Web services. SAP has positioned Enterprise SOA to deliver the benefits offered by service-oriented architecture, including enabling both flexibility and business efficiency. SAP markets Enterprise SOA as a cost-effective way of adding new applications to existing infrastructure. SAP Solutions that currently use Enterprise SOA are mySAP CRM, mySAP ERP, and mySAP SRM. SAP partners include Global Services Partners with cross-industry multinational consulting capabilities, Global Software Partners providing integrated products that complement SAP Business Suite solutions, and Global Technology Partners providing user companies with a wide range of products to support SAP technology, including vendors of hardware, database, storage systems, networks, and mobile computing technology. Extensions partners: this is a small number of companies which provide functionality that complements SAP product capabilities. Their products are certified, sold, and supported by SAP. These partner companies include Adobe, CA Technologies, GK Software, Hewlett-Packard, IDS Scheer, OpenText, Redwood Software, Vistex Inc., Insync Techfin Solution Ltd, Meridian Global Services, Knoa Software, Nakisa Inc, ICON-SCM, BackOffice Associates, Prometheus Group and SmartOps. SAP products for small businesses and midsize companies are delivered through its global partner network. In 2008, SAP signed SAP Global Service partnership with HCL Technologies, a $6 billion technology service provider, headquartered in India. SAP PartnerEdge signed with ENFOS, Inc., a software as a service company, to develop their EcoHub Partner Sustainability Solution platform. The SAP PartnerEdge program, SAP's partner program, offers a set of business enablement resources and program benefits to help partners including value added resellers (VARs) and independent software vendors (ISVs) be profitable and successful in implementing, selling, marketing, developing and delivering SAP products to a broad range of customers. .
SAP Community Network (SCN) is a community of SAP customers, partners, employees, and influencers – typically in roles such as: developers, consultants, integrators, and business analysts – who gain and share knowledge about ABAP, Java, .NET, SOA, and other technologies, plus analytics and dashboards, business process best practices, cloud, mobile, big data, and a range of other topics via blogs, discussion forums, downloads and code samples, training materials, and a technical library. SAP uses a two-tier structure of boards, with an executive board and a supervisory board. As of 2016, members of the executive board were Bill McDermott (CEO and Chairman, joined in 2008), Robert Enslin (2014) Bernd Leukert (2014), Luka Mucic (CFO, 2014), Michael Kleinemeier (2015), Stefan Ries (2016), Steve Singh (2016) and Gerhard Oswald (1996). Functional units of SAP are split across different organizational units for R&D needs, field activities and customer support. SAP Labs are mainly responsible for product development whereas the field organizations spread across each country are responsible for field activities such sales, marketing and consulting. Headquarters is responsible for overall management as well as core Engineering activities related to product development. Worldwide customer support is not provided by the field organizations but by a unified organization called Active Global Support (AGS). SAP Labs are R&D locations that develop and improve SAP core products. SAP Labs are strategically located in high-tech clusters around the globe. SAP Labs are located in Germany (main locations: Walldorf/Rot, Markdorf, Berlin), United States (main location: Silicon Valley), India (main location: Bangalore), China (main location: Shanghai), Brazil (main location: Sao Leopoldo), Bulgaria (main location: Sofia), Canada (main locations: Vancouver, Montreal), Vietnam (main location: Ho Chi Minh City), Israel (main location: Ra’anana), CIS (main location: Moscow), France (main location: Paris, Sophia Antipolis), Ireland (main location: Dublin), Hungary (main location: Budapest). SAP’s main 4 Labs’ locations are Germany, India, China and the US. Labs Walldorf was founded in 1972 and became SAP’s first location. At the beginning, the focus of SAP expansion was entering highly developed IT markets: in 1993 Palo Alto becomes a part of SAP Labs‘ locations. Aiming to acquire talented employees, in 1998, SAP opens its Labs in Bangalore, in 2003 – in China. Among the latest SAP Labs‘ locations are Labs Vietnam and Labs Berlin. Labs Vietnam was established in 2015, Labs Berlin – in 2016. Based on SAP HANA in-memory platform, SAP Labs develop innovative products for 98 of the 100 most-valuable global brands using cutting-edge methodologies and technologies. In order to manage SAP Labs, SAP Labs Network (SLN) was created. SLN is a global unit that manages regional Labs and shares best business practices. It coordinated and distributes development projects among individual SAP Labs locations, accelerates product delivery, gives SAP full access to talent, and drives SAP corporate strategy regarding innovation and business growth. SAP User Groups are independent, non-profit organizations of SAP customers and SAP partners. They serve as communications channel for their members towards SAP and for SAP towards the markets. The Americas' SAP Users’ Group (ASUG) is the company’s largest user group, with 100,000 individuals at 3,800 companies. ASUG members are professionals who work in more than 17 industries. Many are technical and business process experts in the SAP ecosystem; they have varied levels of experience, and come from small businesses to global corporations, as well as universities. In 2007, the SAP User Group Executive Network (SUGEN) was established. SAP provoked controversy and frustration among its users in 2008 by raising the cost of its maintenance contracts. The issue was the subject of intense discussion among user groups. SAP has two annual conferences: SAPPHIRE and SAP TechEd. SAPPHIRE is SAP's customer-facing event. It is generally where SAP announces major product changes and strategic direction. It is typically held in the spring in North America. SAP TechEd is the more technical conference, aimed at SAP's ecosystem of consultants and software development partners. SAP TechEd has been held since 1995, usually in four locations in the fall. In 2014-15, SAP TechEd was held in three locations, between fall and early spring. SAP competitors are primarily in the enterprise resource planning software industry. In this field, Oracle Corporation is SAP's major competitor. SAP also competes in the customer relationship management, marketing & sales software, manufacturing, warehousing & industrial software, and supply chain management & logistics software sectors. Oracle Corporation filed a lawsuit against SAP for malpractice and unfair competition in the California courts in 2007. SAP lost the case in 2010 and was ordered to pay a sum of US $1.3 billion, which was cited as the largest copyright infringement judgment in history. The verdict was overturned in 2011 and the lawsuit was finally settled in 2014 for $356.7 million. The resulting pressure saw SAP and SUGEN (SAP User Group Executive Network) agree to a major benchmarking exercise to prove the value of the new support pricing policy to customers. In December 2009, SAP delayed its Enterprise Support price rises until agreement had been reached on the benchmarks and KPIs (Key Performance Indicators). In January 2010, SAP reversed its direction on Enterprise Support and reintroduced its standard support package for customers. The move to reinstate standard support – at 18 percent of annual license fees, "will enable all customers to choose the option that best meets their requirements", the company said. In August 2013, SAP acquired Hybris publicly for eCommerce capabilities after failing in a bid for Neolane. The rationale for the acquisition of Hybris was really for product catalog and product information management. SAP has donated several million dollars to a variety of global health causes including the Product Red campaign and the Global Fund. In addition, SAP has distributed free software in South Africa as part of an effort towards developing future markets there. 1 2 3 4 5 "SAP Annual Report 2015" (PDF). SAP SE. Retrieved 30 April 2016. ↑ "SAP Corporate Fact Sheet". SAP SE. Retrieved 25 November 2016. 1 2 "SAP at a Glance: Company Information". Retrieved 27 January 2015. ↑ Holmes, Edith. "IBM Opposes Retelling of Whole Xerox Story in Court", Computerworld, p. 42, 26 January 1976. ↑ "History of SAP AG". Retrieved 3 May 2013. ↑ International Directory of Company Histories, Vol. 16. St James Press, 1997. 1 2 3 4 Staff. "SAP History: From Start-Up Software Vendor to Global Market Leader". Retrieved 10 October 2010. ↑ SAP UK – ICI Success Story, Sap.com (1 January 1999); retrieved 24 April 2011. ↑ "Standard Application Software for Real-time processing is developed". ↑ "success story of SAP". ↑ "seize new opportunities by SAP". ↑ "Vom Programmierbüro zum globalen Softwareproduzenten: Die Erfolgsfaktoren der SAP von der Gründung bis zum R/3-Boom, 1972 bis 1996". Chbeck.metapress.com. 14 November 2008. Retrieved 27 March 2014. ↑ Verespej, Michael A. (16 August 1999). "Why They're The Best". IndustryWeek. Penton Media, Inc. Retrieved 15 October 2007. ↑ "STOXX Limited Announces Changes to its Blue-Chip Index Series" (Press release). Stoxx. 1 September 2003. Retrieved 21 October 2016. ↑ "Company Q & A". Investor Relations. SAP.com. Retrieved 27 May 2015. ↑ Wong, Kenneth; Bass, Dina (23 May 2012). "SAP to Acquire Ariba for $4.3 Billion in Push Into Cloud". Bloomberg News. ↑ "SAP To Acquire Concur Technologies To Boost Cloud Sales". Forbes. 22 September 2014. ↑ Mahadevan, Neetha; Doerner, Stephan (19 September 2014). "SAP to Acquire Concur Technologies". The Wall Street Journal. ↑ "IBM and SAP Score Win Over Amazon". BusinessInsider. 14 October 2014. ↑ "IBM, SAP to Partner on Cloud Computing for Business". Fortune. 14 October 2014. ↑ "Microsoft and SAP Strengthen Ties with Mobile, Data, Cloud Partnership". TechCrunch. 19 May 2014. ↑ "Answers on SAP upgradation to SAP S/4HANA". ↑ Larry Dignan (16 September 2016). "SAP aims to court more HANA developers, launches express edition". ZDNet. Retrieved 19 November 2016. ↑ "SAP S4/HANA – the user, analyst and partner views", Diginomica.com, 3 February 2015. ↑ "The World's Biggest Public Companies, Software & Programming". Forbes. Retrieved 21 October 2016. ↑ "Worldwide Office Directory of SAP". ↑ "Business in Brief: Markets". SAP. Retrieved 15 October 2007. ↑ "Midmarket Solutions: SAP ALL-IN-ONE – Solutions for mid-size companies". Annual Report 2006. SAP.ocm. Retrieved 15 October 2007. ↑ "Industry Solutions: Innovation – One Industry at a Time". Annual Report 2006. SAP.com. Retrieved 15 October 2007. ↑ SAP - Enterprise Service-Oriented Architecture: Adoption Program, global.sap.com; accessed 27 May 2015. ↑ "When Does a Web Service Become an Enterprise Service?" by Dr Franz-Josef Fritz (SAP AG), SAP Insider, April–May–June 2004. ↑ SAP – Global & Local Partner Directories: Global Services Partners. SAP AG. Retrieved 7 July 2011. ↑ SAP – Global & Local Partner Directories: Global Software Partners. Sap.com (30 June 2009). Retrieved on 7 July 2011. ↑ SAP – Global & Local Partner Directories: Global Technology Partners, go.sap.com; retrieved 7 July 2011. ↑ SAP Offers Retailers in North America a Full Range of Store Solutions to Optimize Their Businesses Through Extended Global Reseller Agreement With GK Software. sap-news.com (28 May 2013). Retrieved on 22 May 2015. ↑ Solution Extensions Software from, scn.sap.com; retrieved 24 April 2011. ↑ "LinguaNext". Facebook. Retrieved 6 November 2012. ↑ SAP – HCL Technologies Announces Global Services Partnership With SAP to Deliver Joint Business Value Through ‘Customer Centric Ecosystem’, Sap.com; retrieved 7 July 2011. ↑ SAP – SAP Solutions for Small Businesses and Midsize Companies: Press Fact Sheet, July 2007. SAP.com; retrieved 7 July 2011. ↑ SAP – Communities. go.sap.com; retrieved 7 July 2011. ↑ "SAP Executive Board". SAP. ↑ "SAP launches Global Support Center". 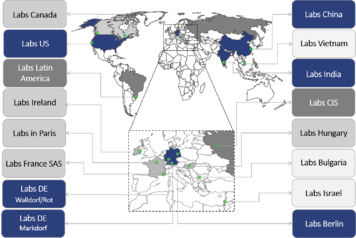 ↑ "R&D Locations | SAP Labs | About SAP SE". SAP. Retrieved 2016-04-29. ↑ SAP faces user wrath over price hikes. Computerworlduk.com. Retrieved on 7 July 2011. ↑ "SAP unveils SuccessFactors cloud computing roadmap as it squares up to Oracle". V3.co.uk. Retrieved 29 February 2012. ↑ "SAP Rolls Out Updates at SAPPHIRE". InternetNews. 17 June 2003. Retrieved 29 February 2012. ↑ "SAP TechEd '05 in Bangalore". Articles.timesofindia.indiatimes.com. 22 September 2005. Retrieved 29 February 2012. ↑ "SAP TechEd to Go Deep on Mobility". Pcworld.com. 8 October 2010. Retrieved 29 February 2012. ↑ Levine, Dan (23 November 2010). "SAP to pay Oracle $1.3 billion in landmark decision". Reuters. Thomson Reuters. Retrieved 2 October 2015. ↑ "Oracle Verdict Against SAP Is Overturned". Associated Press. 1 September 2011. Retrieved 12 January 2015. .
↑ "Oracle, SAP Settle Long-Running TomorrowNow Lawsuit". Reuters. 13 November 2014. Retrieved 14 August 2015. .
↑ SAP delays Enterprise Support price rises. Computerworlduk.com; retrieved 7 July 2011. ↑ SAP does U-turn on Enterprise Support. Computerworlduk.com; retrieved 7 July 2011. ↑ "SAP buys Hybris, gains customer experience, power", informationweek.com; accessed 27 May 2015. ↑ "(RED) Partners". (RED). The ONE Campaign. 14 October 2012. Retrieved 27 May 2015. ↑ "What This Giant Software Company Is Doing to Advance Global Health". Inside Philanthropy. 8 October 2014. Retrieved 13 November 2016. ↑ "The Business Case for Strategic Philanthropy". TriplePundit. 8 August 2013. Retrieved 13 November 2016. ↑ "SAP in autism recruitment drive". BBC News. 22 May 2013. ↑ "How EY and SAP are championing corporate volunteering". The Guardian. 11 February 2014. Retrieved 13 November 2016. Wikimedia Commons has media related to SAP.